Aurebesh is the writing system in Star Wars used to transcribe Galactic Basic, one of the most used languages in the galaxy. It first appeared in the 1983 movie Star Wars: Episode VI Return of the Jedi, but it was expanded into an alphabet by Stephen Crane of West End Games for gamers to use when playing Star Wars video games. 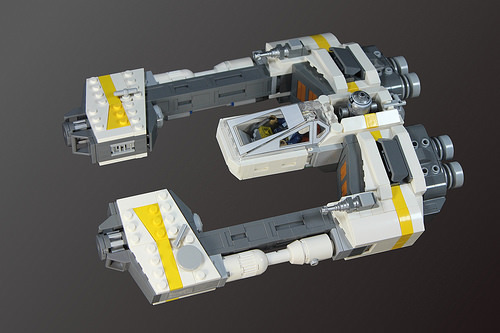 Jake RF has created a starfighter that resembles the letter Enth (shaped like a backwards E and pronounced /Æ/) in the Aurebesh alphabet. There’s a lot of nice textures going on here, and the colour scheme works well to make this a believable Star Wars ship. Jake RF shared some work-in-progress views and the original concept artwork. 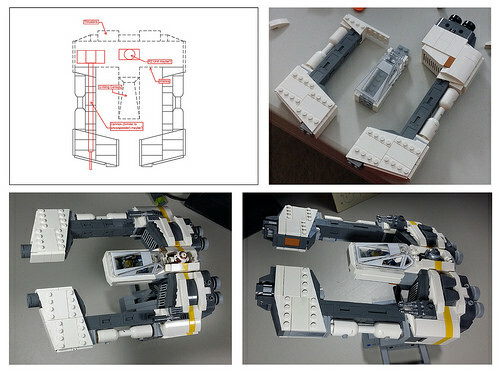 It’s not often we are able to get insights into the design process of a model and it is interesting to see.